I’m starting to wonder if I was an art teacher in a past life, or maybe just a keen-as-mustard toddler who loves getting messy and refuses to grow-up?! Who knows. 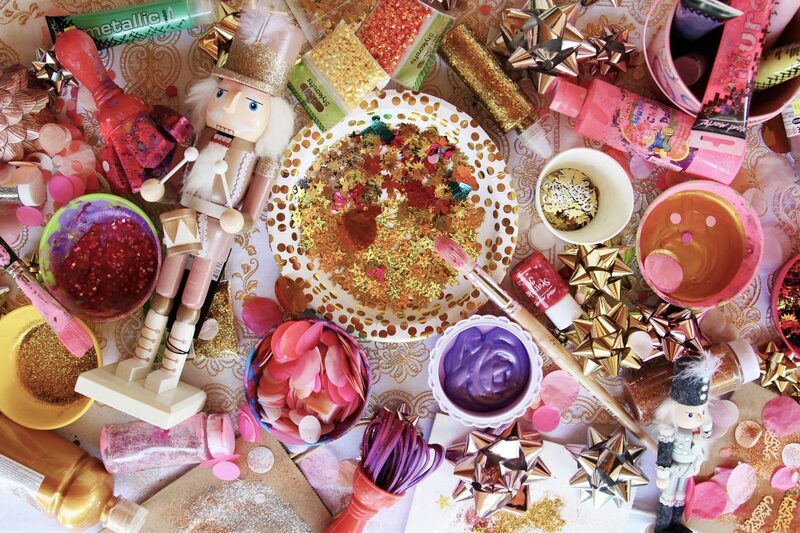 MG is now at the point where she is ASKING for “messy play, mummy?”… Oh, my heart be still. YES, MG, YES. This year I wanted to make our gifts extra special, so I hope our families can excuse the trails of glitter and sequins we are going to leave throughout their homes on the big day! #itsthethoughtthat counts. 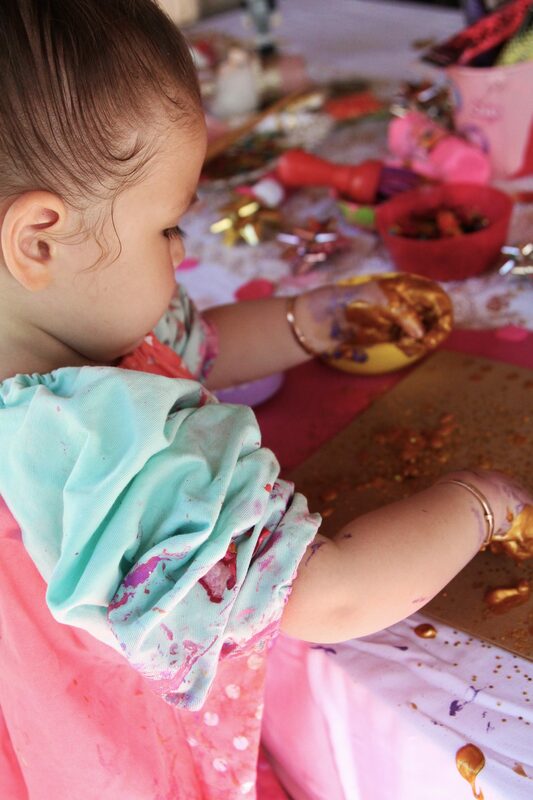 This Christmas messy play sesh definitely exceeded my expectations in the messiness department, but luckily it was a lovely day so we all just jumped in the pool to wash off! Below I’ve included where I purchased our Christmas crafts from, as well as the final gift bags that MG made! 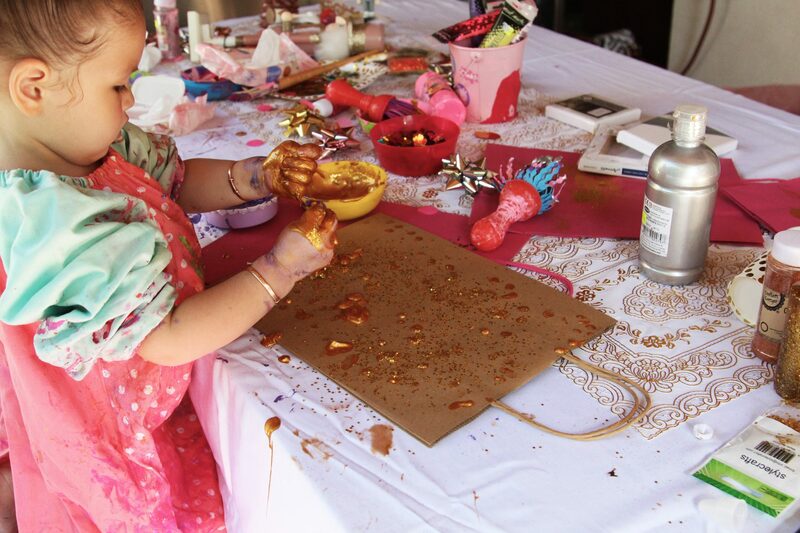 Enjoy getting messy! 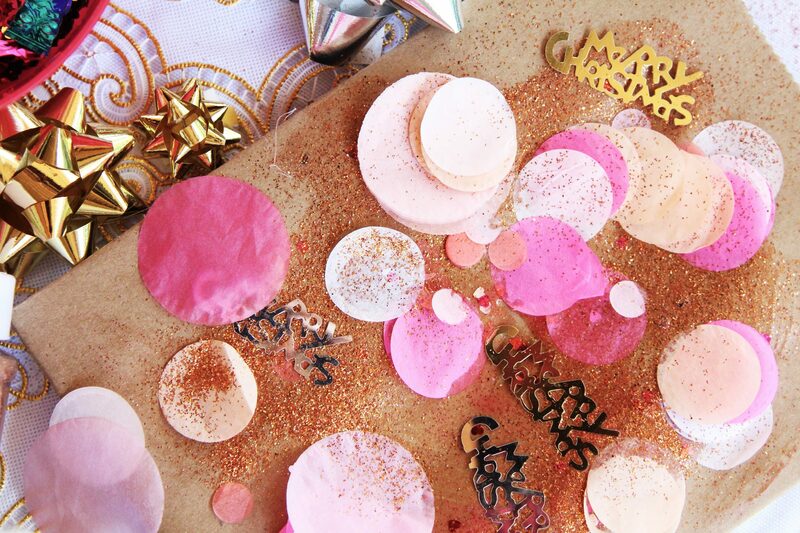 CONFETTI: This confetti is not from Spotlight or the $2 Shop (SOZ), it’s leftover from her FIRST BIRTHDAY! Ha! Talk about hoarding – sheeeeesh. 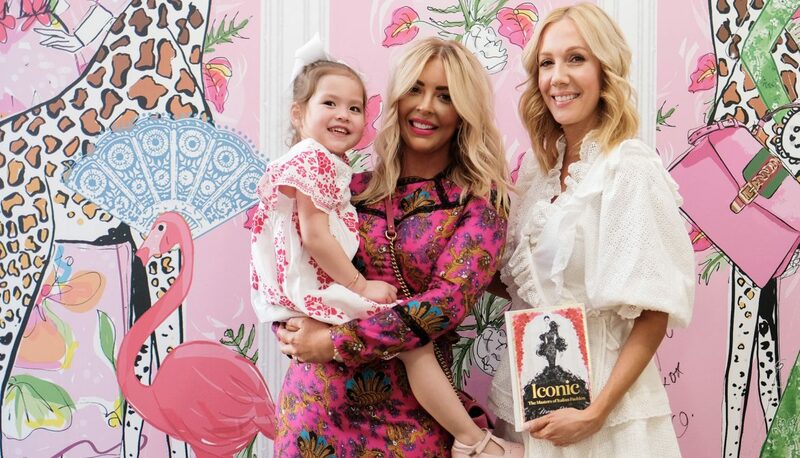 It’s from Poppies for Grace – but be careful, it’s easy to spend a small fortune on their gorgeous collection of pettiness! 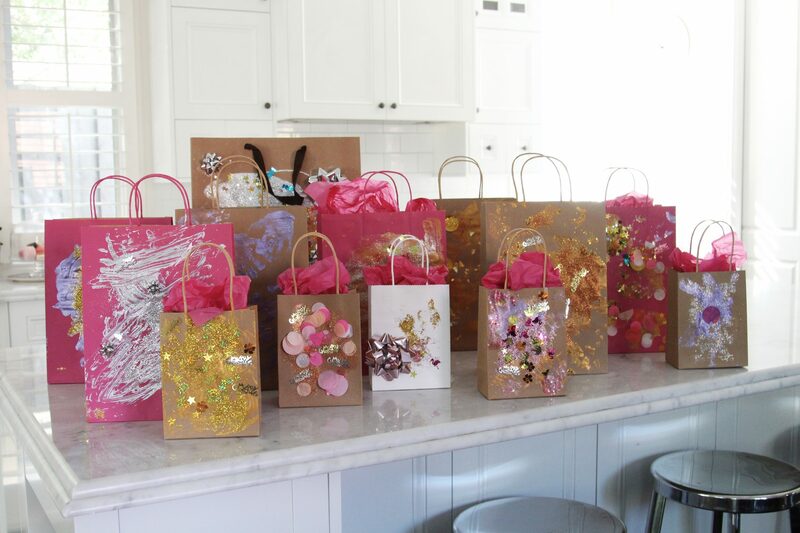 PAPER GIFT BAGS: I bought the natural/brown ones from our local $2 Shop and the pink ones are from Spotlight. Pink is massive for Christmas this year, I’ve just decided. You heard it here first. 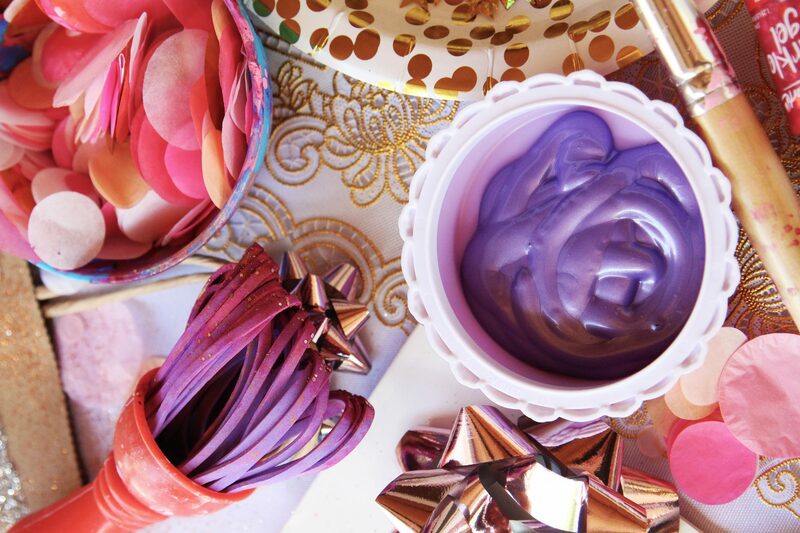 I’m totally available to hire for kids parties or even hens nights who want to re-live their youth – with body paint! KIDDING. But seriously, how fun would that all be!